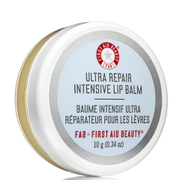 A cult favorite, top selling lip treatment with multiple benefits: hydrates, conditions and restores dry lips while leaving the skin fully protected, plumped and seductively glowing. Soothing Bio-Processed Coconut Oil, enriched with Vitamin E, builds a fine layer of sheer gloss to deliver a luxury experience with this (non-sticky) reparative formula. Click lip applicator head into "on" position and squeeze out desired amount onto cooling, ceramic rollerball tip. Click into "off" position before applying to lips. 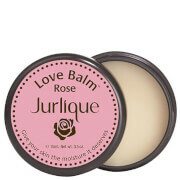 Apply by rolling directly onto lips or on top of lip stain/color as desired. Bio-Processed Ricinus Communis (Castor) Seed Oil, Bio-Processed Cocos Nucifera (Coconut) Oil, Fractionated Cocos Nucifera (Coconut) Oil, Beeswax, Cucumber Hydrosols, d-Alpha Tocopheryl Acetate (Vitamin E), Cinnamomum Zeylanicum (Cinnamon) Essential Oil.